The most distant objects here are over 13 billion light years away, and we see them when they were only 500 million years old. That means this picture looks back in time almost 13 billion years. 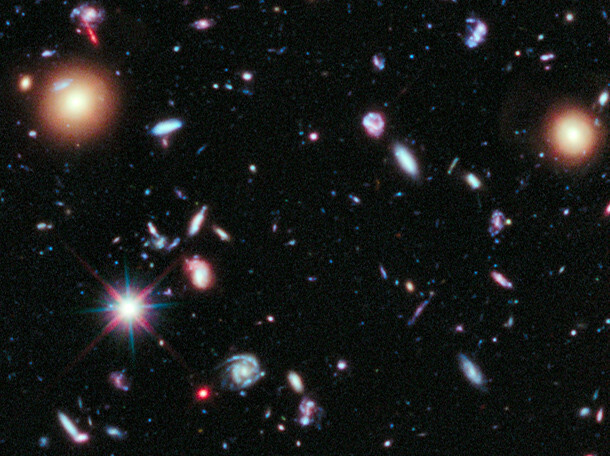 Click the image for the full article on Hubble’s Deep Field Images. The size of those info pants: TOO BIG. Maybe after I eat a whole pizza they’d fit, but I’d still step on the cuffs.